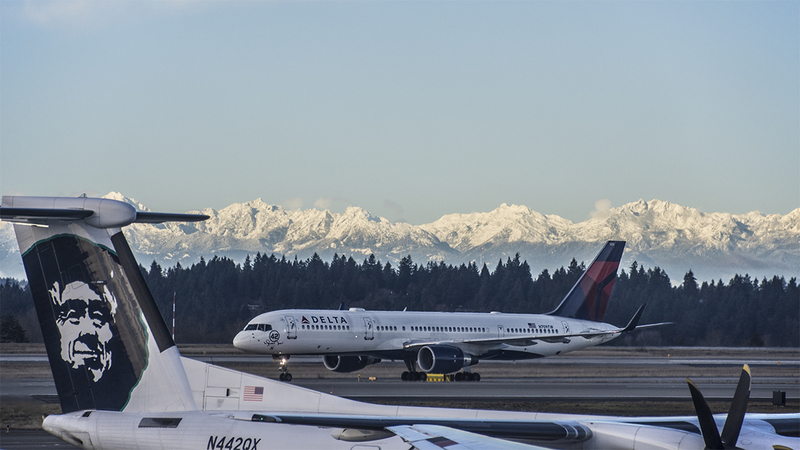 Don’t you just love those Olympic Mountains! Oh my gosh, it has been so long, I think I almost forgot how to write…or at least how to use my WordPress site anyway, haha. So I am finally back in the saddle again, okay, okay, actually I was back in a seat on a plane, on a fairly longggg flight. 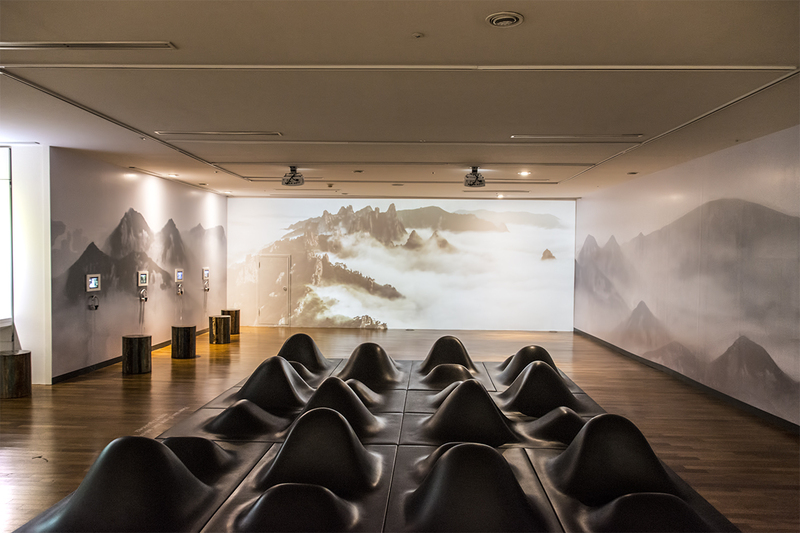 The relaxation room at Incheon International airport. I remember looking out the window at SeaTac, seeing those amazing, beautiful, snow-capped Olympic Mountains, BUT so happy to be getting away from the freezing weather that causes that snow! And, oh, by the way, neither of those planes are with the airlines I flew over on. 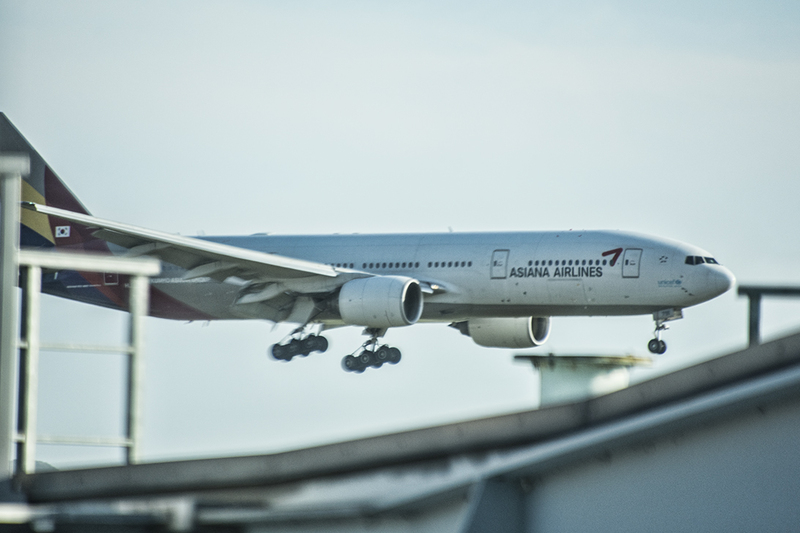 I flew this time on Asiana Air, the traitor that I am to EVA…I must say it was hard not to fly with them because if you read my very first posts to the world, from a couple of years ago, you would know how much I loved them. But in my defense, how in the heck could I pass up a $504 round-trip flight price from Seattle to Manila with Asiana! Asiana Air at their home base, Incheon International Airport. My first stop was a layover in the Incheon International Airport, and I have to say, it is an amazing, and beautifully done, airport! They know how to treat an outbound traveler…free shower, relaxation room, awesome shaped chairs around the entire area to sleep or rest in, and some great places to eat and shop at. I should also add that the long leg of my flight was definitely an enjoyable one, the crew of Asiana Air was very nice, food was good, and they had some great current movies to watch! I will definitely fly with them again. 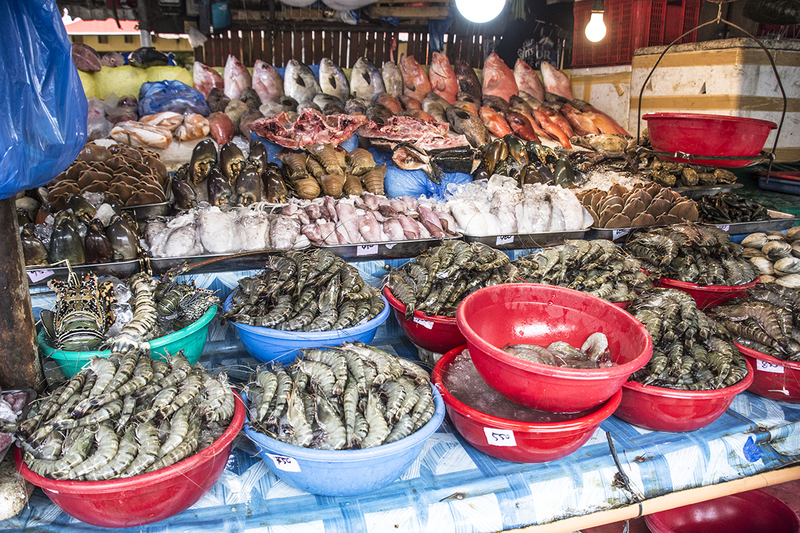 Many various types of seafood in Manila, Philippines. Next up, after a layover of, yawn…14 hours, I couldn’t wait to fly on to Manila. Here, I would be meeting up and staying with my wife’s family for a few days, which always meant a trip to the Seaside Dampa, or fish market, on Macapagal Boulevard in Pasay, Metro-Manila. There, you pick your fish out and then many different restaurants adjacent to the market try to get your business preparing your tiger prawns, calamari, scallops, lobster, or whatever you might decide to fill your tummy up with. We have been using the same location to cook our food now for several years and they have always done an excellent job. That is why we continue to go back to them over and over again. 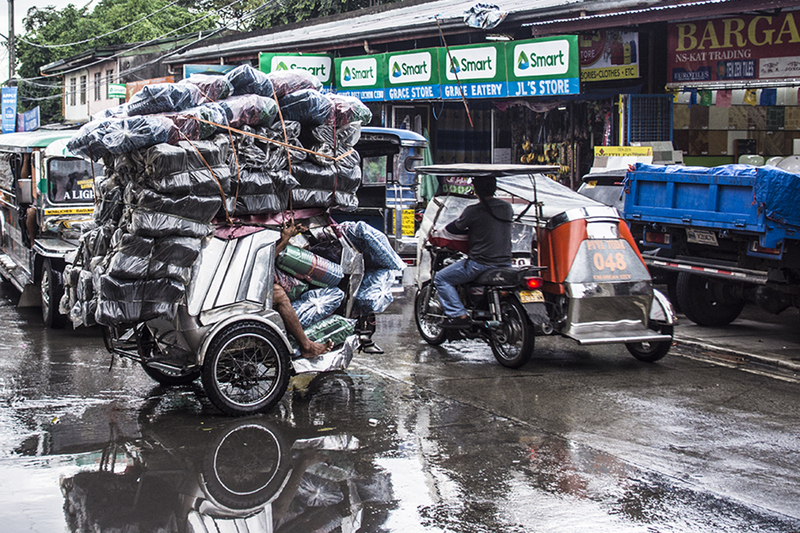 Wow, can the get anymore stuff on this trike? I always love coming to southeast Asia. Where in the heck are you going to see a loaded up trike, like the one in my photo, in the United States! There is just so much to look at, see, and do, and I can guarantee you, just about everyone you meet is friendly and will greet you with a smile…all you have to do is smile, too. I loved my short stay with my sister in law, niece and nephew, as it’s always a pleasure to come to the Philippines. The front end of my adventure only allowed me a few days to hang out in the area, but my last two weeks in this part of the world would find me back here again, and I was excited to come back! I just LOVE the beautiful Kata Beach! After a quick couple of days in Bangkok, that included my FASTEST time yet off the plane, through customs, the baggage carousel, and onto the train, all in about 45 minutes, I was on my way to Phuket for six weeks of relaxation and sun on the beaches. I had been signed up for a TEFL course, but situations change sometimes, and the course, at least for this trip, was put on hold. So what better way to spend my time on the island than checking out all the world class beaches and riding a motorbike around the island! 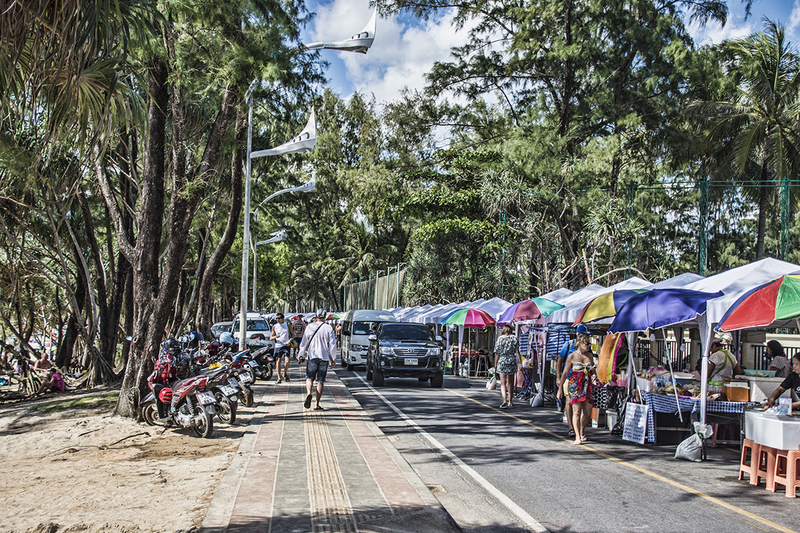 Delicious food carts that are parallel with Kata Beach. 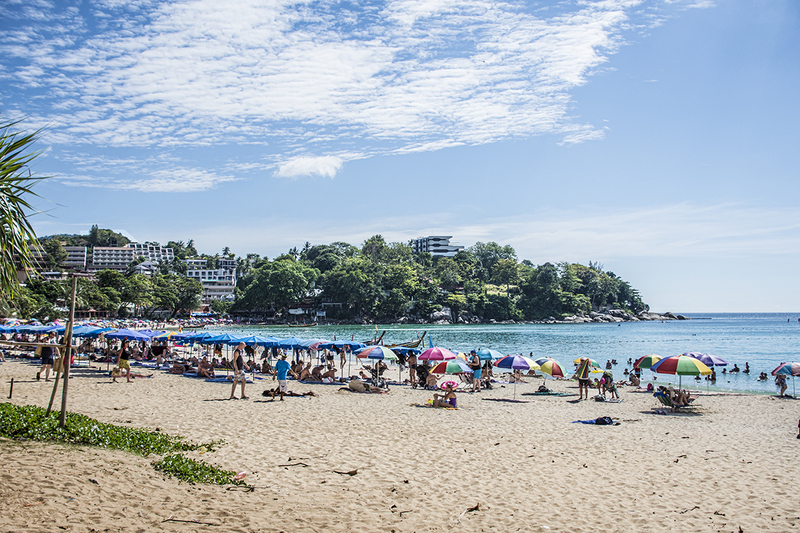 My first weekend on Phuket, a group of us headed out to Kata Beach. It felt good to be back on this island again! I never got around to writing about Phuket on my last trip, but it is an amazing place!!! I have met so many people that came for a week or two, and never left. This place will do that to you, and by the end of my trip I was looking at condos, but that is a story for later! For the time being, I was back at my home away from home, staying at Sakul House with old friends and new, and so many new stories to share from this trip! So keep reading as I will keep writing! Now finds me back home in the United States, and I hope I will be able to provide some helpful information, tell some interesting stories, and share some decent photos with everyone that follows me. And, maybe make one or two of you smile while following my adventures! I might even entice a few of you to go to Phuket! Next up, I will be writing about me trekking…(okay, I know, walking on concrete sidewalks through mangroves isn’t really trekking, haha), traveling to Ao Yon beach, and watching the sun set with some amazing people! Peace, out! 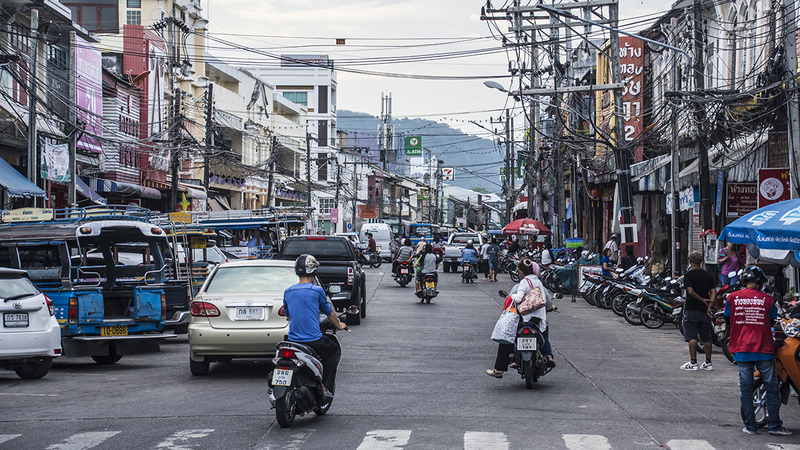 Phuket Town, maybe one of my all-time favorite towns, at least so far! My short story…the final chapter. Ummmm, good question, Leah! I will have to find out how to put a “Follow Me” button on my blog/website! That will be coming soon, along with another story! And, I am so glad I could make you smile!